There are so many great online shops that sell fabric – in fact sometimes it’s an easier way to browse as you can see all the options from the comfort of your chair. 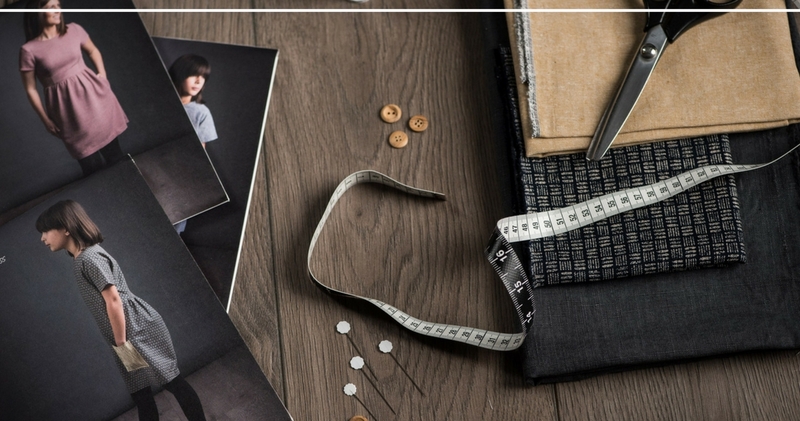 How many hours I have lost by browsing, browsing, browsing and dreaming of buying every piece of fabric I love! Online shopping is great, especially when you are familiar with fabrics – ie knowing what the difference between 100% cotton and poly cotton (cotton and polyester mix) is. If you know what you are looking for – go for it! However, I do love to feel a fabric and see it “in real life”. There’s me with rolls and rolls of fabric in my arms and a wild look in my eye – and there’s my husband standing next to me counting how much I’m potentially about to spend. Reluctantly I have to put some back most of the time otherwise would run out of space in my studio and we’d be eating bread and jam for weeks!! 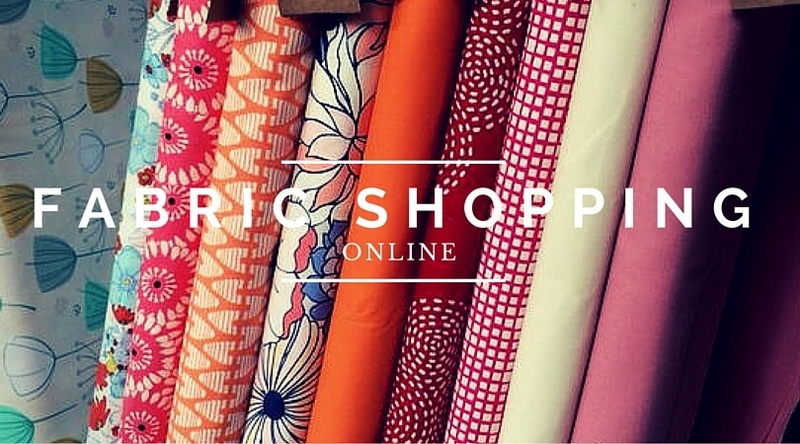 So – here are some great online fabric shops. Nestle down with a cup of tea and a treat and lose yourself in the fabulous world of fabric. I promise to update as I come across these gems frequently. Now here is a fabric shop that literally has everything you need, including a lovely selection of natural linen fabrics including eco or bio linens as well as a large range of boiled wool, cotton fabrics (including cotton jersey fabric) voiles, corduroys, jersey knits, cotton flannels along with dress patterns and haberdashery. 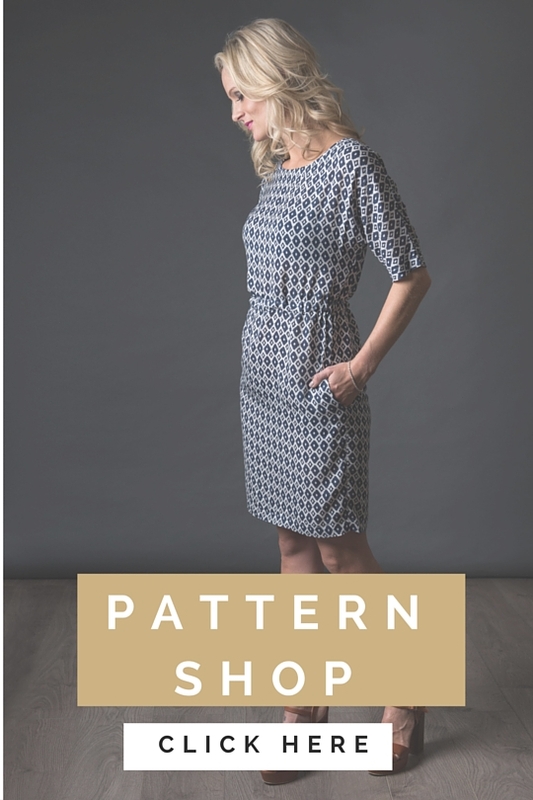 We are proud to stock out patterns in their shop. Fabric is sold by the meter and you can buy half meters. The website is easy to navigate and there are so many options. An absolute pleasure to buy from, your purchase will arrive quickly and beautifully wrapped. 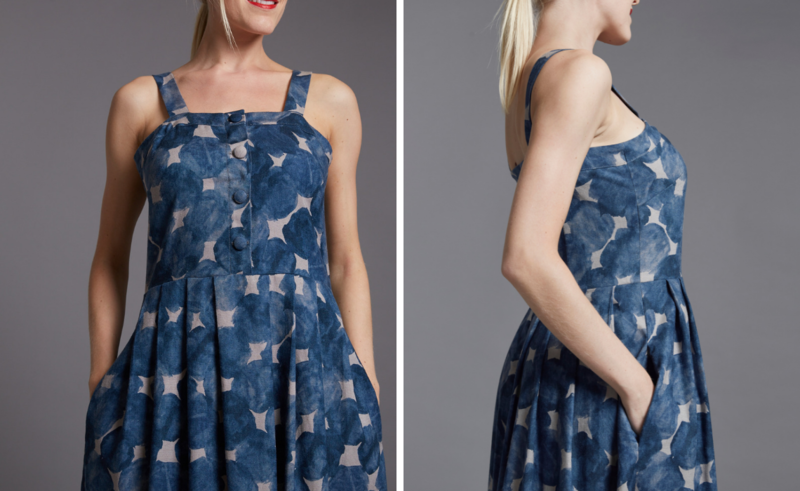 Fabric Godmother is another gorgeous online store that stocks our patterns. Based in Hove they also run workshops (we will be doing our Sheath Dress workshop on Saturday 9th April – more details to follow soon). 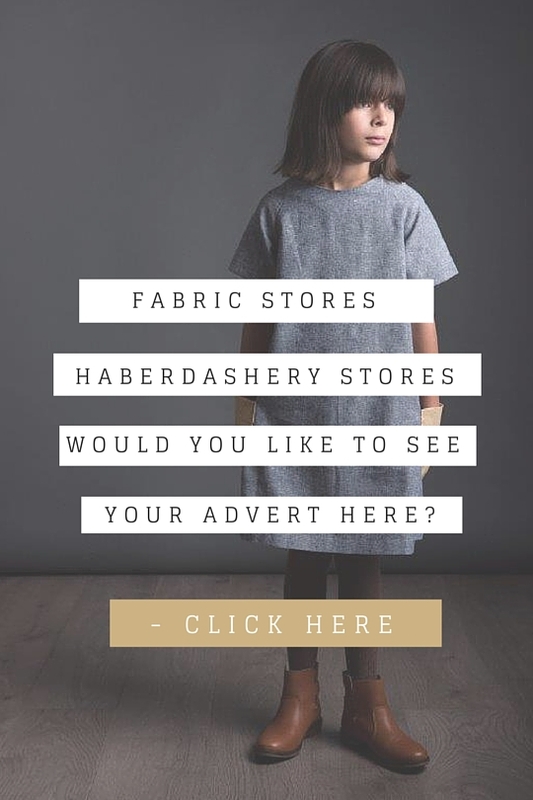 A gorgeous shop with everything you need for sewing – haberdashery, fabric, patterns and more. What a pretty site. They have lots of 100% cotton, linen cotton blends, organic cotton and laminated cotton. Perfect for cushions, tote bags, curtains for your children’s room or even your sewing room (if you are lucky enough to have one). This is a great website if you are looking for cute, quirky or funky fabric. I love their fabric choices – just bear in mind when you are ordering that the price they are quoting is not for a full metre. They split their fabric up into units – also known as a “fat quarters”. This is quite common with online fabric shops. Fat quarters are sold as 1 unit which is 55cm wide by 50cm long. SO – to order half a metre you need 2 units and to order a full metre you need to order 4 units. They say that if you order more than 1 unit they will cut it as one length. If they can’t they will contact you before posting (phew!). Great if you only want to order a small piece as there is another fabric shop I use where the minimum order is 2 metres! Very frustrating when you don’t need that much! They also have some great Ric-Rac (a flat narrow braid woven in zigzag form, used as a trimming for clothing or curtains) which is not expensive at all. Overall a lovely website – definitely worth a look. There is something about this website that I just LOVE LOVE LOVE. I just want to SHOP SHOP SHOP when I am on this site. Everything looks gorgeous – the fabric, the ribbon, the bundles. Good for cottons – cute and quirky prints. Lots of Liberty fabric to choose from. Also, a great place to buy patterns that aren’t your typical Burda, Vogue, Kwik Sew etc. You can find Colette Patterns, Hot Patterns, Serendipity Studio, Papercut Patterns and a whole lot more. Another cute website with cute fabrics. They’ve split their fabrics into the different type of print which I love. You can look for anything from Animals to Nauticals to Retro & Vintage Inspired. They also have some lovely Ticking stripes. Yes I never thought I would say it, but I found an ebay seller EDEN HOUSE FABRICS, who I have bought quite a bit of poly cotton fabric from. Fast turnaround and not expensive at all. Pop their name into Ebay and have a look. Looking for something less cottony ? Fabrics and Papers have all the well known names in fabrics that are perfect for curtains and cushions. However, be prepared to pay extra – these are not cheap cotton fabrics! Great selection and great service. Their range consists of (to name a few); Farrow & Ball, Mulberry, Sanderson, Marimekko, Designers Guild. Perfect for cotton fabric and jersey stretch fabrics. They are also online. So that’s it for now – I will keep this article updated as I am always coming across some great online shops. Found any of your own? Let me know – I would be delighted to add them to the blog (and of course have a browse! ).